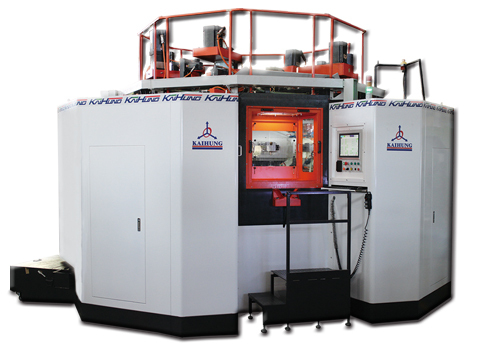 and 180˚ at the same time. 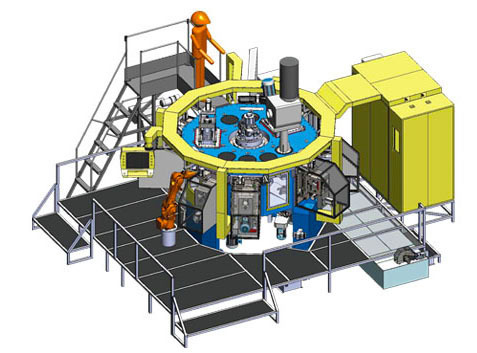 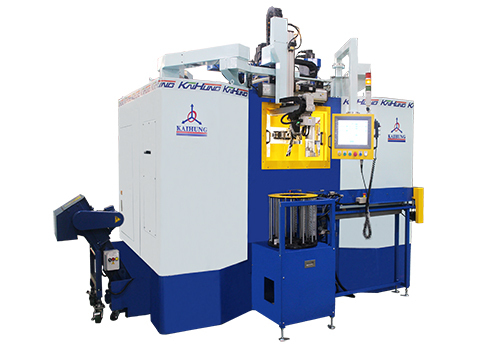 This 3D multi-spindle complex machining center is "Horizontal Rotary". 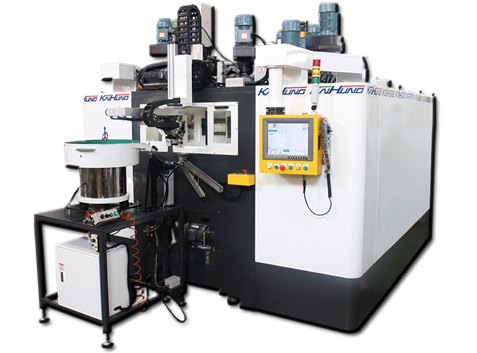 It allows 0°, 90° and 180° tri-directional machining. 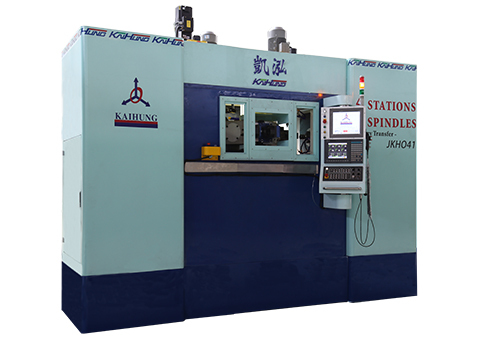 Each spindle allows program editing whenever required. 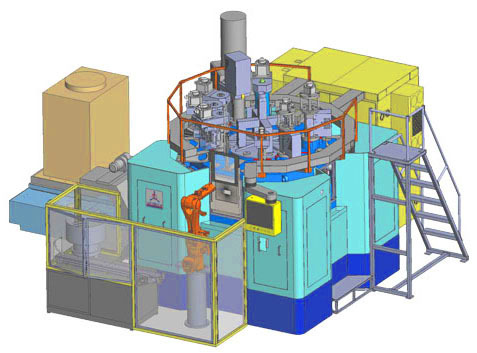 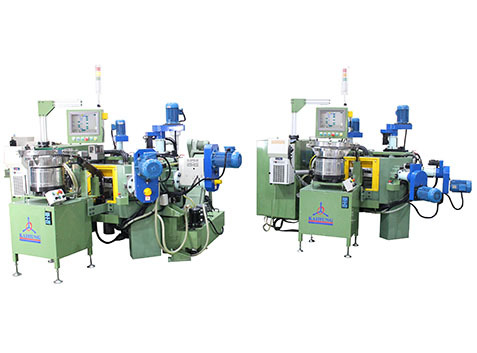 Each piece of equipment conglomerates the capacity of several units of machining centers into one unit in which the numerically controlled lathe can yield 8 to 20 times the productivity. 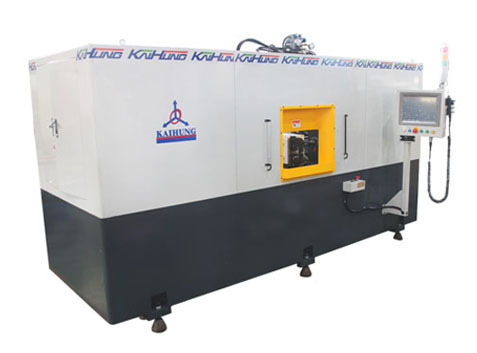 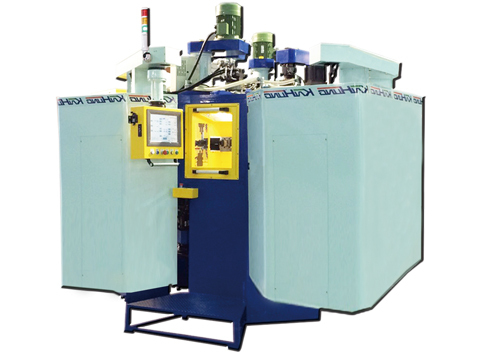 Improve production efficiency, saving the machine processing costs.